Alltech, a global leader in animal health and nutrition, has announced that the pig session to be held 24th International Animal Health and Nutrition Symposium has drawn some of the pig industry’s leading experts as speakers. 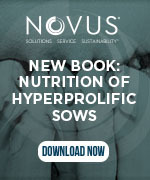 • Nutrigenomics: What does it mean for pig nutrition? How do we use this technology to improve productivity while minimizing environmental impact? • Are corn and soya based diets the key to environmentally friendly diets of the future? • Salmonella: still an insidious problem — can we really use nutritional strategies to control it? 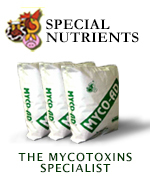 • With the price of raw materials sky-rocketing, how do we effectively deal with mycotoxins, the hidden killer on farm? • How are some producers addressing the new demands of the green agenda? Alltech’s 2008 Symposium will incite delegates – including experts from around the globe – to redefine the industry as a leader of the ‘Greenest Generation’ by rethinking technology and business practices. The Symposium will also urge delegates to find constructive ways in which we, the agriculture industry, can respond to the green revolution. Alltech will host its 24th International Animal Health and Nutrition Symposium, focusing on the ‘Greenest Generation’, April 20-23, 2008 in Lexington, Kentucky, USA.